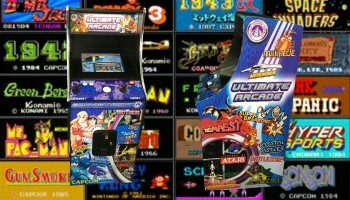 Old School Arcade Game are available to rent all over Northern California. Our classic Old School Arcade Game have the same games you played in the 80’s and 90’s just without putting quarters in them. This is the perfect item to put in your lunch break room at your office or surprise your guests at their next corporate meeting. We even can host a Old School Arcade Game tournament to see who is the best at Ultimate Street Fighter. We deliver and set up all our video games and pinball games including the Old School Arcade Game to all Northern California Cities in the North Bay, East Bay, South Bay, and all other cities in the San Francisco Bay Area.